At the Fall PTO Meeting, you will hear important updates from Head of School, Gina Panza, as well as the Board of Managers. 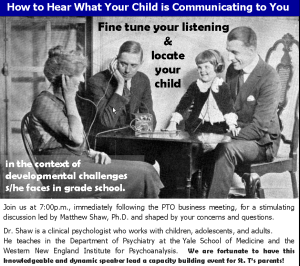 PTO Committee chairs will discuss their work and how you can get involved. 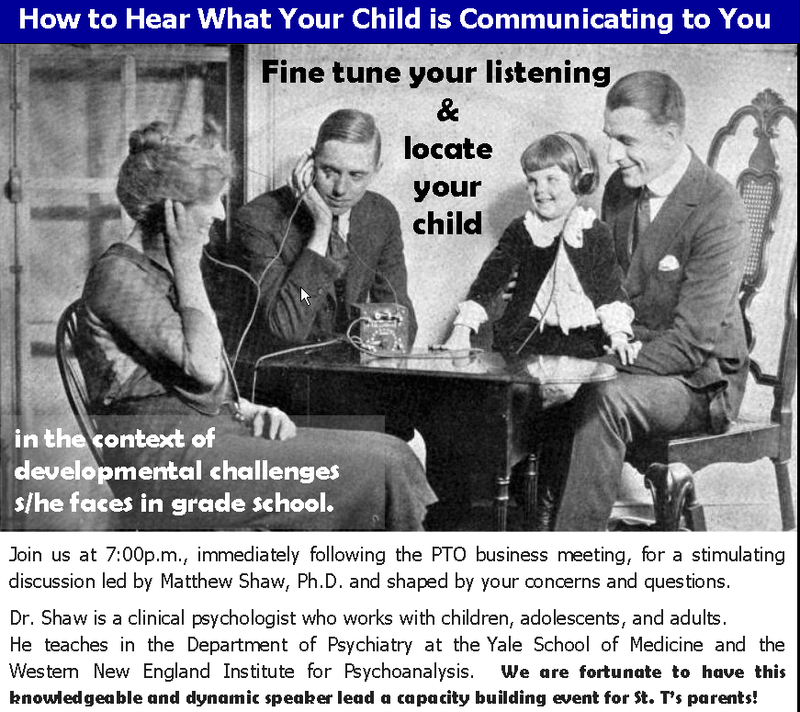 Starting at 7:00 PM, immediately following the meeting, we will have a fantastic speaker lead a workshop on communicating with your children.